It is just another day for a group of children on a school bus, or is it? Ever wonder what happens when a child's pet gets loose on a school bus? 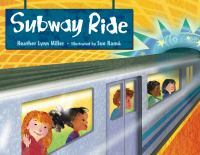 This is just one of the many adventures that takes place on a busy school bus in this fun book. 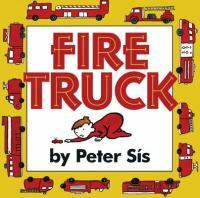 Rhyming text and bold colorful illustrations depict a variety of scenes such as children eating, reading, and trading cards. Kirk shows many actions through divided pages and a diverse group of active children. Children and adults alike are sure to enjoy the quick bursts of activity both inside and outside the bus. 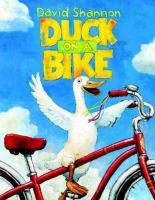 One day Duck finds a bike and thinks to himself "I bet I could ride a bike!" As Duck shows off his new trick to Cow, Sheep, Dog, and all the other barnyard animals, they each let him know exactly what they think about his crazy and silly new idea. But when a whole bunch of kids park their bikes by the house, all the animals have bikes to ride and they find out how much fun it can be! This is a wonderfully illustrated book that everyone is sure to enjoy. Now, what about a tractor? The bus driver is taking a break from driving, and he's leaving you in charge to watch the bus. He gives you one important message before he goes. "Don't let the pigeon drive the bus!" Will you be able to say no when the pigeon begs, screams, and cries? Will you still say no when he offers to be your very best friend? He is very tricky. 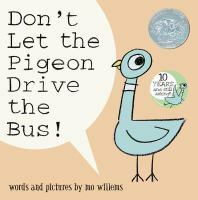 But, whatever you do, don't let the pigeon drive the bus! Bus riders and lovers will want to read this book again and again. 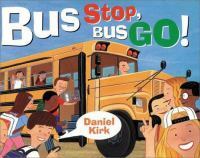 The book is written in the first person and the narrator is a school bus! 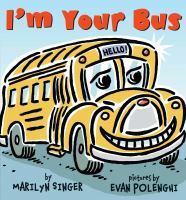 The school bus tells readers all about why buses are important and the places they take school children like to school and on field trips. From the bus lot in the morning to returning there at night, this rhyming book with it bright pictures and smiling bus is appealing. One of the fun things about this book is the changing sign at the front of the bus that changes to fit the mood and setting of the page. A sure-fire addition to transportation storytimes. Come down the steps, deep, deep underground to the . . . subway! Pay the fare, wait on the platform, listen to musicians and fast trains rushing by, then get on board to ride ten different subways around the world. You will travel through Atlanta, Cairo, Chicago, London, Mexico City, Moscow, New York City, Stockholm, Tokyo, and Washington D.C. Rama's digital collage watercolor art is beautifully vivid and as alive as Miller's simple text. In the back of the book, the author includes a brief overview of each unique subway system. This book is a must for train lovers of all ages!